We spent this week at the sunshine coast. 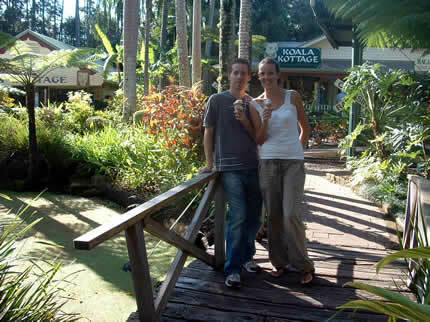 We were staying in a small town called Nambour, with Liz and David Guy. Leah knew their daughter Elissa from when she lived in Brisbane 10 years ago. Liz and David kindly let me and Paul stay in their house for the week. They have an area downstairs especially designed for when guests are staying. There is a living room, kitchen, bedroom and a bathroom. David did most of the work in the house himself. There was also a swimming pool outside. We arrived in Nambour on the Monday night about 9.30pm. David Guy met us at the station and drove us back to his house. Leah went to stay with Elissa Guy in Petrie about 1 hour away. Today we got up early and got a bus from Nambour train station to Maroochydor beach. Maroochydor is just south of the river. We walked along the beach to Mooloaba beach. The beach was gorgeous here, with beautiful soft golden sand. We relaxed in the sun for a while and just enjoyed watching the surfers. 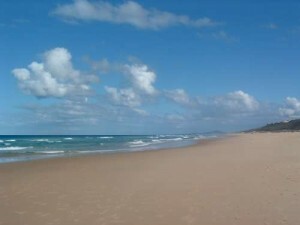 The weather at the Sunshine Coast was beautiful, about 22 Degrees most days, with a nice sea breeze. Today we looked around Nambour town. Nambour is an old farming town with about 10,000 people living there. We both really liked the town, it had everything you needed. A shopping center, clothes shops, restaurants, banks ect. It is also surrounded by hills and greenery. Where we were staying there were just 2 other houses on the hill, so it was very peaceful, with no light or noise pollution. In the afternoon we got the bus to the Kawana Shopping World (about 1 hour journey from Nambour). Leah rang us to say she would be at Moolooaba Beach about 4pm with Elissa, her children and her parents. We decided to head there to meet up with them. We all went for fish and chips near the beach. After eating we all went back to Liz and David Guy’s house, where we are staying. Liz is very creative. She makes blankets, walll signs, teddies and many more things. She was showing me some of teh scrap books she has done for her children and to document her life. I thought it was a great way of putting photos and journal enteries together. I have kept a journal since I was 10 years old, so you can imagine how many journals I have by now. I think i will do some scarp books when I get home. We had a chilled out day in Nambour. Today we got a bus to Caloundra. We got bus number 602 from Nambour train station. The ticket cost us $21.20 for 2 tickets. This allowed us to use the buses within zones 15-18 for the whole day. The journey to Caloundra took about 1 1/2 hours. We got off near kings beach. It was such beautiful weather, about 22 degrees. We sat of Kings beach for a while watching some kite surfers. Then we decided to walk along the coast. We followed a beautiful walkway from kings beach all the way to Moffat beach. It took us up higher, where we were able to see beautiful views across the sea. We passed by gorgeous houses along the way. When we got to Moffat beach, we found a Chip shop, where we sat and ate some hot chips. Then we walked up to Moffat lookout, to watch the sun setting over the mountains. The sky looked amazing, with blue, purple and pink colours. After watching the sunset we walked on to Dicky beach, where we got the bus back to the Sunshine Plaza. We took a look around the plaza, then got bus 602 back to Nambour. 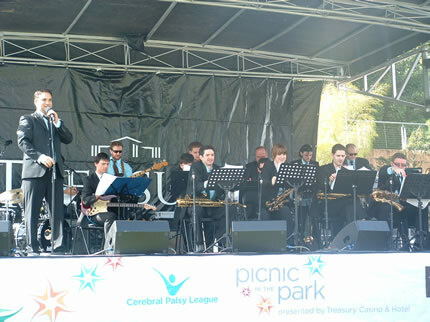 There was a festival on in Nambour today, which we went to. There was free entertainment and market stalls. There were also free music and dance classes for children. We loved it and thought it was a great idea to have a festiva like this every year. There were lot’s of familes there together. Today we got a bus from Nambour to Noosa Heads. We walked along the beach from Noosa Heads to Coolum beach. This is about a 10 mile walk. It was a beautiful sunny day. We wanted to make the most of the sunshine as we knew Melbourne was going to be alot cooler. The walk was really beautiful and peaceful. The sands were golden and the sea perfectly blue. We took our time, stopping along the way on several beaches. The walk took us about 3 hours in total. 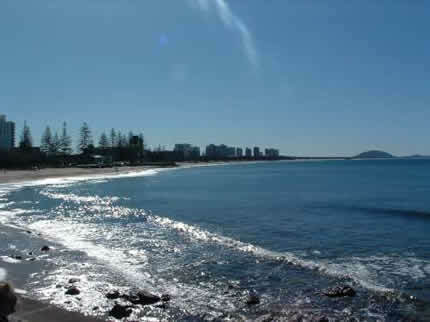 Coolum is a really beautiful beach, with a smalll town close by to the beach. There are lot’s of restaurants, bars and shops here. We took a look around, then got our bus back to Nambour. We got a train from Nambour to Petrie this afternoon to go and stay with Elissa Hooper, the daughter of the couple we were currently staying with in Nambour. My sister Leah was also staying with Elissa. We spent the evening playing games with Elissa’s 2 children, Katie and Sam (age 7, 4). Micheal, Elissa’s husband made a beautiful dinner for us all. He made vegetarian Lasagne especially for me, and beef lasagne for everyone else. He also made a vegan chocolate cake. I would never of believed it was vegan, as it just tasted like any other chocolate cake. He gave me the recipe so I must try to make it myself when I get home. We chilled out this morning with Elissa and her two children. Our flight was around 6pm from Brisbane to Melbourne. Elissa kindly offered to drop us off at the airport. We flew with Jet Star. This seems to be the cheapest airline around Australia. Another airline we found cheap were Virgin Blue. When we got to Melbourne airport we were met by Jared Haymes. We have known his wife Rachel all our life, through church. She moved over to Australia over 10 years ago and is now married with 3 beautiful children. Rachel and Jared kindly allowed me, Paul and my sister Leah stay with them in Melbourne. We decided it would be a good idea to hire out a car one day, so we went into the city on Thursday to find the best company to go with. We found that Euro car had the best deal, for 1 full day at $47. Split between all three of us including petrol, this worked out cheaper than us getting trains all day, so it was well worth it. Thursday night we made a rough plan of some of the places we were going to go to, and we borrowed a road map from Marey. We set off at 9am Friday morning, to get the car for 10 am. We had the car for 24 hours. Leah did all the driving. We set off towards the sunshine coast, and stopped at several places along the way. First of all we stopped at the Beerburrum Lookout. There was a 1/2 mile climb up to the lookout, although this wasn’t much, it was all up hill at nearly a 45 degree angle. This wasn’t easy in my flip flops! Once we got to the top we were able to see out to the glass top mountains. These are a group of volcanic plugs. These are the centre of the volcanoes (lava) after the rest of the volcano has eroded away. It has left a picturesque landscape. We stopped and relaxed for a while looking at the beautiful views in the distance. We then descended down the hill. The descending is sometimes harder than the climb, as it is hard to stop yourself from running down. When we got back to the bottom, we stopped for some lunch. We prepared a cool box with sandwiches and fruit before coming out. 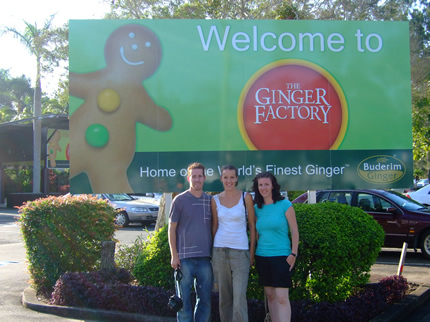 Next stop was Buderim Ginger Bread factory, in Yandina. It used to be in Buderim, but had since moved to Yandina. BuderimGinger factory has been running since 1941. You are able to watch how the ginger is made in the factory and also look around the many shops at the outlet. The tickets for entrance to the factory cost about $20 each for adults. We decided just to look around the shops, although I’m sure it would have been well worth a visit. We all got an ice cream. All the flavours had ginger in it. I got Raspberry and ginger flavour. This was delicious. There were several different shops, souvenir shops, macadamia nut shop (we were testing all the different Macadamia nuts). Leah bought some chocolate with macadamia nuts in. We then looked around the shops and bought some ginger bread to take home. There was a beautiful forest area that we walked around. There were many different trees and birds in the forest. 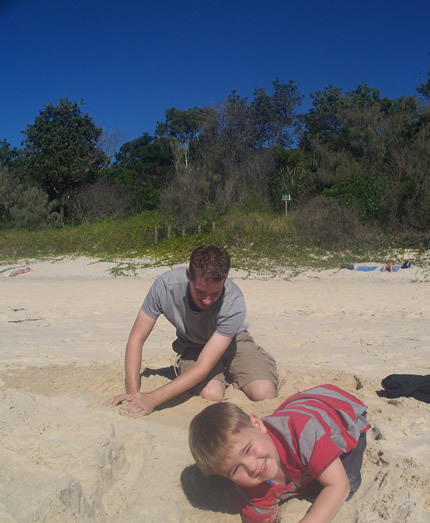 After spending about 1 hour at the factory we drove on to Coolum beach along the sunshine coast. We went in for a little while, but the sun was starting to go down, so the water was fairly cold. We spotted a lot of jelly fish along the beach, so we were watching where we were walking. 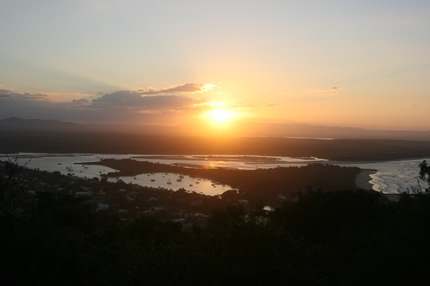 After spending a short while at the beach we dove on to Noosa Heads National Park and drove up to the Lagoon Lookout to watch the sunset. This is a great place to watch the sunset over the mountains in the distance. There were a few clouds In the sky which made the sunset look really stunning! We were so lucky to find a perfect spot in time for the sunset. We decided to finish off the day by driving to Mt Coot-Thalookout, which we have been to once before during the day. We didn’t realise how busy it would be up there! Everyone else had the same idea as us. It was a great place to be at night time, as the city looks great from the lookout with all the lights. There is a café at the top which stays open till about 10pm, we got hot chocolates and just sat and watched the city. It was a great day and we got to see a lot. It was definitely worth hiring the car out. It would of cost us a lot more getting around by trains, plus we wouldn’t have got to see half of the things we did on public transport. Ideally we would have had a car for the full time. The Cerebral Palsy League supports children and adults with disabilities to pursue their own personal goals and dreams. They provide them with expert therapies, technologies, equipment and employment to meet their individual needs. Leah had to go about 1 am as she was going to a car rally event in Redcliffe with her friend Marey. Me and Paul decided to continue watching the entertainment in the park. 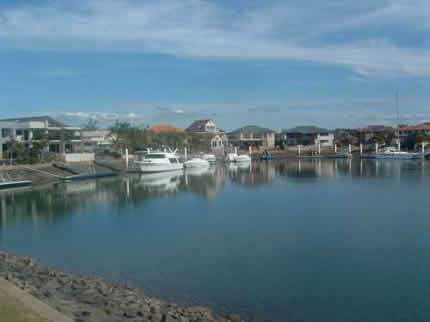 Last week we were staying with Elissa’s (Leah’s friend) parents, in a town called Nambour, near the sunshine coast. We had a fantastic week their and loved being beside the coast and enjoyed our stay with Liz and David Guy. They have a beautiful home in Nambour, on top of a hill. The town is an old country town with about 10,000 people living there. We will write about our stay there in our next blog. We are heading to Melbourne tonight. We fly from Brisbane to Melbourne at 6.00pm local time. (9am GMT 11thAugust 2010). We are flying with jet star. We found this to be the cheapest company. We are going to be staying with a friend called Rachel Haymes (Bowness) who we have known for most of our life. She is now married to Jarrod with 3 children and lives in Melbourne. We hope everyone is well and we look forward to speaking more to everyone once we get to Melbourne. Today we went to Loan Pine Koala Sanctuary. We were trying to decide between this place and the Steve Irwin’s Zoo. Marey, leah’s friend told us that the Loan Pine Sanctuarywas well worth a visit and very good value for money. The entrance fee is $30 (£17) per person. This allows you to watch all the shows and get really close to most of the animals, you even get to pet most of them. We got bus number 445 from stop number 41 on Adeleide street in the city centre. You will need to get a 3 zone pass, and if you are planning on returning to the city, then you are best getting the daily ticket, which costs $9 and allows you to use the ticket all day, between the 3 zones. 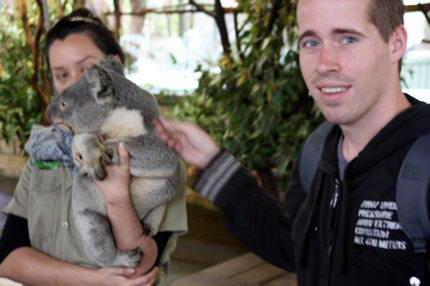 We got to the Koala Sanctuary in time for the first show at 10am. There are different shows running all day, but some only run once, so you are best getting there just before 10am. The first show was a sheep dog show. The farmer was showing us how the sheep dog is trained to get all the sheep in to a huddle and also how he get’s them into small spaces. 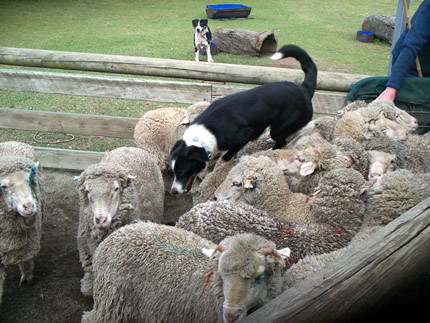 The farmer whistles to signal the dog and the dog circles the sheep to get them into a huddle. Then when the farmer wants to get them into a gate, the dog keeps jumping over the sheep, to make them move over. He continues jumping over them, until they are all in the gate. 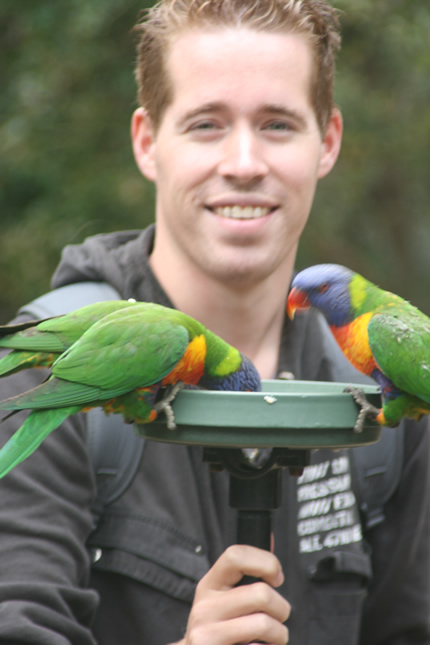 We went to several shows throughout the day, including a bird show, koala show, wombat talk, koala talk and several others. We were able to get close to most of the animals. 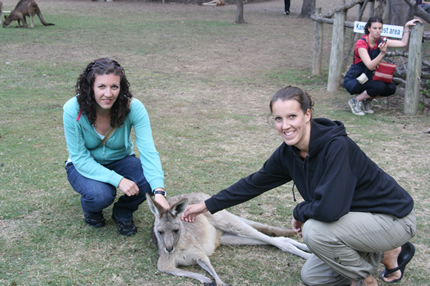 It was so nice to be able to walk amongst the kangaroo’s rather than just look at them through a cage. They were very tame and you were able to sit with them and pet them. 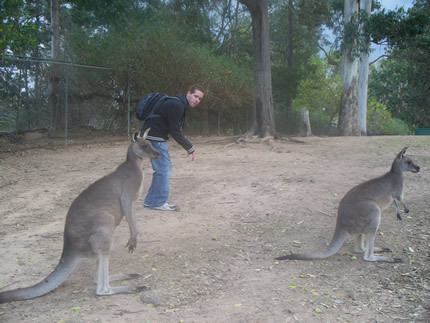 It was really fascinating watching the kangaroos interact witheach other. At first we were a little unsure how tame they were, but we decided that if it was save enough for us to be walking around withthem, then they must be. We just sat with them for a while and took lot’s of pictures. We also got to pet an owl, Koala and hold parrots. We had a great day out at the Santuary and enjoyed learning about all the different animals. It made a change to be able to get up close to the animals, rather than just look at them in cages! We would definitely recommend this place to people. The animals are well looked after and it’s great value for your money. Tuesday 20th July- We visited Mt Coot-Tha/Botanical Gardens- We got the bus from the city (Adeleide Street) to Mt Coot-Tha (Bus Number 471) We got a daily ticket which cost us about $7.90. (This allows you to use the ticket as many times within these zones, all day) The bus took us right up to the foothill of the lookout. You have the option of getting out at the botanical gardens, which is just before the lookout, but we decided to do that on the way back down. Mt-Coot-tha is a great place to view the city. We sat on the hill and just looked over the city whilst eating our lunch, which we had prepared before coming out. Leah brought some cards with her, so we were playing a few card games. 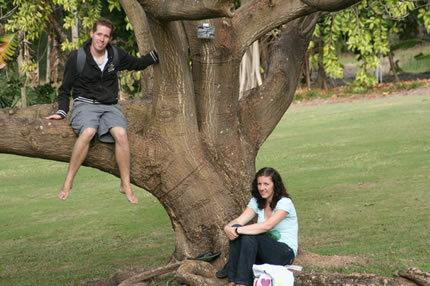 On the way back from Mt-Coot-That we went to the botanical gardens, which are free to enter. The gardens were really beautiful, with lot’s of different types of trees and lot’s of birds flying around. There was a lake in the middle of the gardens with black swans on. We went to see Leah’s old house in Bowen Hills when we got back to the city. This was the flat that she used to live in Ros Lowther, then when they moved out, Elissa Guy and Marey Christou moved in to it. We walked over to a church near the house, that was up on a hill and we were able to see the sun setting over the city. Wednesday 21st July- Today we went to the science museum in the city. Then we went to visit the Botanical Gardens in the city center. 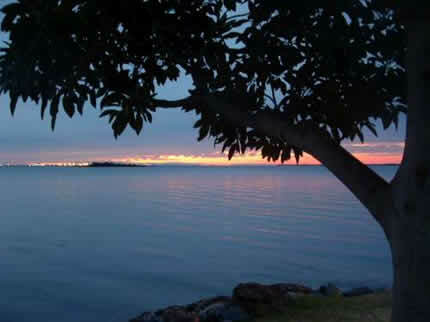 Thursday 22nd July- Today we went to Cleveland Point, which is about 1 hour south of Brisbane. We got the train from Buranda Train station (near where we were staying). There were lot’s of inland water ways, with each house having it’s own private pier with a boat. We were eyeing up all the houses, there were some beautiful one’s. After walking around the houses we walked over to the beach and sat for lunch. Then we got a train to Wellington point, which is 10 minutes North. We walked from the train station to Wellington Point, where we sat and watched the sunset over the city. It was really beautiful here, with great views across to smaller islands and over the city. There are places here to have barbecues and also a cafe where you can get food. In the evening I decided to go busking in the city for a while. I lent a guitar from Marey’s brother (who we are staying with). I haven’t busked since I lived in Dublin so I was afraid I’d find it really difficult, suprisingly I was ok. I really enjoyed it, although it was a quiet night, a Friday or Saturday night would be much better! Friday 23rd July-Today Paul needed to work in the morning. In the afternoon we walked over to where my sister Leah was staying (with her friend Sarai in Annerley). We went into the city in the evening to go to the night markets at South Bank. The night markets are on every Friday and Saturday night in the city. The city is really lively in the evening, yet still has a very relaxed and laid back atmosphere. We saw a lot of buskers out, some very good ones, including a guy playing spanish guitar and a girl playing the cello by South Bank. Saturday 24th July-We went to the Gold Coast today with Sarai and David (Who leah was staying with in Brisbane). Sarai’s parents live by the Gold Coast and they go most weekends, so she said we could go with her. 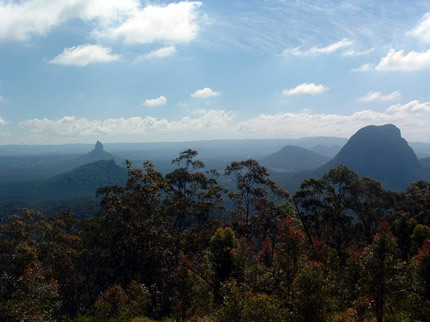 It is about a 1 hour drive from Brisbane. We set off around 1pm. Sarai dropped me, Paul, Leah and her husband David off by the beach. The Gold Coast is a lot more built up than the Sunshine Coast, with high rise buildings all along the front. This really blocks out the sun unfortunately. 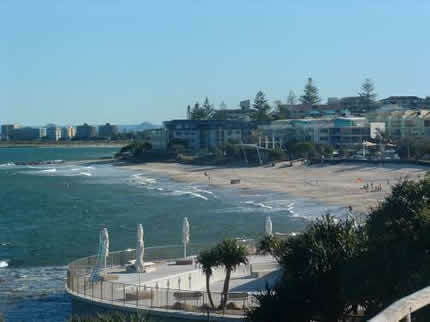 A lot of locals prefer to go to the Sunshine Coast as it is more laid back and less built up, I would have to agree! Although the beaches it self are very beautiful. We walked along the beach to Surfers Paradise. Me and David were the only one’s brave enough to get into the water. It was a little cold, but still beautiful. I just couldn’t come to the Gold Coast and not go in at least for a while! Surfers Paradise is the most built up spot on the Gold Coast, with a shopping center and lot’s of food places along the beach. We stopped for Copenhagen Ice Cream…..BEAUTIFUL!! Sarai picked us up from Surfers Paradise, and took us back to her parents house where we were staying for the night. They lived in a lovely bungalow about 10 minutes drive from the Gold Coast. Her Dad was making dough for pizza’s for us. He had to go out, but David finished them off. They were delicious! Sunday we went to Mount Tamborine with Sarai and David. It is a lovely drive up here, with gorgeous views over the coast. There are lot’s of lovely tourist shops up here and cute little cafes. There is also lot’s of food tasting and wine tasting places up here. We went into a small olive oil shop with Sarai, as she likes to cook. They had loads of different tasters out. We were testing different olive oils dipped with bread and seeds. After looking around the shops we went into a cafe to get Scones with cream and jam. We have been in Brisbane for nearly 3 weeks now, so I thought it was about time I wrote something about our time here. We arrived in Brisbane on Monday 13th July. We were met at the airport by Marey (an old friend of my sister Leah’s, from when she lived in Brisbane 10 years ago). My sister Leah and her friend Elissa were also waiting at the airport for us. When we came out on this trip we didn’t know Leah was going to be in Australia at the same time, but she decided to do a trip around America, Australia and also Asia, and it just happened that we were in Brisbane at the same time. It was funny seeing Leah in the Brisbane airport after not seeing her for 5 months. It felt like we’d only been away for a couple of weeks after a while of speaking to each other, the time has gone so fast. We went back to Marey’s house, where we are currently staying in Brisbane and Leah went back to her friend Elissa’s. Marey is really laid back and friendly, she has made us feel very welcome in her home. The first day we just slept as we hadn’t got any sleep on the overnight flight from Japan to Brisbane. Then in the evening after sleeping, we went for a walk into the city to Kangaroo point. The walk from Marey’s house to the city takes about 1 hour. 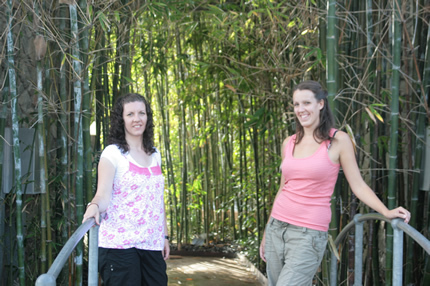 Monday 14th July- We met up with my sister Leah on our first day in Brisbane city. It felt weird catching up with my sister in Brisbane, on the other side of the world! 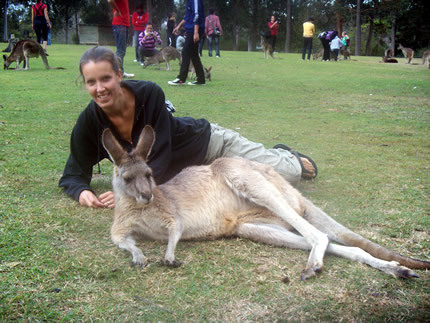 Leah lived in Brisbane for 1 year, 10 years ago, so she knew her way around the city a little. We went to visit the art gallery, although I have to admit I don’t remember much about the gallery as me and Leah were just chatting and catching up with each other. We then walked over to Roma street parklands. There is a large lake in the middle of the park and Lot’s of different tree’s. We then took the sea-cat (ferry) across the river and got some beautiful cold rock ice-cream. This is ice cream prepared on cold rock, you chose which ice cream you want and what sweets/chocolate you want added to it. Visited South Bank, where there is a man made beach over looking the city. This is a really lovely area in the city, where you can swim, relax on the sand or grass and have a barbecue or a picnic. There are electric barbecues all over the city, where you are allowed to use them free of charge. 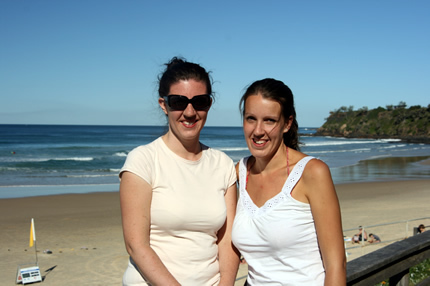 Thursday 16th July we went to the Sunshine Coast with Elissa (an old friend of my sisters, from when she lived here). Elissa met us at the train station and drove us to Noosa beach. It is winter here in Australia, so the water was a little cold, although we couldn’t complain as their winter is like our summer (better actually). Elissa brought her 4 year old son Sam with her. Paul was enjoying building a big sand castle on the beach with him. Then Paul decided to start digging in the sand to see if he could dig right down to the water. Sam decided to try also, and was just as competitive as Paul. I told Sam, yours is much deeper than Paul’s, he didn’t believe me however and wanted to keep digging. Paul and Sam digging till they get to the water! The beach was gorgeous, with beautiful golden sands, and a relaxed atmosphere. It felt amazing to be laying on the beach in the middle of winter and yet it was over 20 C.
After relaxing on the beach for a while we went to Coolum beach to get ice cream and we just sat by the beach for a while. Elissa took us on the scenic drive home, it was so beautiful seeing the land from up high and also seeing how flat Australia is with the occasional mountain in the distance. Sam was keeping me occupied in the back with his transformer toys, so I have to admit I probably missed a lot of the views from outside the car window. It was just so nice to be on the road and to see things that you wouldn’t see if you just got on a train. Friday 17th July-We had a very chilled out day today by south bank, relaxing by the water and taking lot’s of pictures. We also located where we were going to have our barbecue for Saturday. Leah had planned a barbecue to get together some of her old friends from 2000 when she lived in Brisbane. Saturday 18th July- We went to woolworths (Supermarket) to get food for the barbecue. Paul was very excited about having sausages for the first time in 5 months. We walked into the city, which takes about 1 hour from where we were staying. We found a barbecue by south bank, in the city. All the barbecues are free for anyone to use, the only thing is trying to get one before everyone else does. We got there early so that we could reserve one. Everyone started arriving at the barbecue about 1pm. 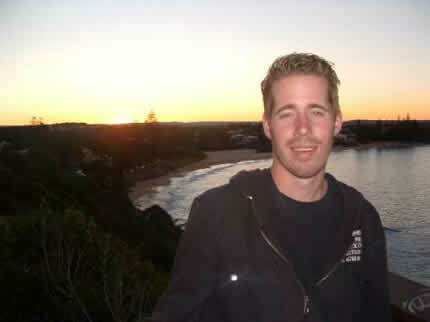 Leah’s friend Jason Kay came from Gimpie, with his wife and 2 children. Jade, Carol (Grace) and their 4 children came. Marey Christou, Justin Obrien and Elissa Hooper (Guy), her husband Michael and two children Sam (age 4) and Katie (age came. Everyone brought their own food along. It was really nice meeting some of the people Leah knew from when she lived here. It’s funny seeing how people have changed or what is new in their life. There were 8 children in total. I was once again highly entertained by the children, as usual. They had me playing chase with them on the grass, they were too fast for me to keep up with them. Children have so much energy! We had so many sausages left over at the end. 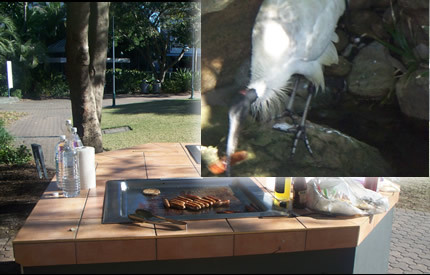 The Ibis’s (birds) kept coming up to the barbacue and stealing them. I threw my veggie burger out to see if they would eat it, but they just stuck their noses up at it. I guess they are too spoilt with all the barbacues around. We went for a swim at south bank (man made beach) with Jade, Carol and their 4 children. It was pretty cold in the water, but I braved it anyway! Jade and Carol’s children were showing us some break dancing, the youngest is only 2 and even he knew some moves! After saying goodbye to Jade and Carol we walked Leah over to the west end, where she was meeting Justin to go to a latin dance class. Me and Paul went to the ciema to see The Twilght Saga (Eclipse). We will add the other blogs from week 2 and 3 soon. We are currently staying near the Sunshine Coast, in a town called Nambour. We are staying with the parents of one of my sisters friends. It is a really lovely home, with a swimming pool outside.